Whilst visiting York at the beginning of the week, we spent a lot of time exploring places to eat (and consuming way too much food in the process), a few of which Dan had discovered earlier this year when he stayed in the City for work. 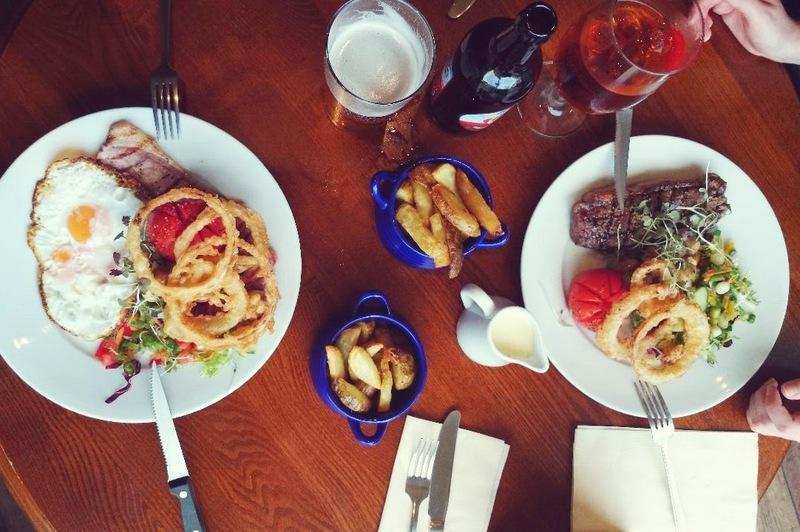 One of the places he recommend we tried was Brigantes, a homely little bar and brasserie on Micklegate (cross the river at the end of High Ousegate and head down Micklegate for a few minutes. Brigantes is on the right hand side!). I’d describe the menu as classic British dishes with a bit of oomph. There was lots to choose from including slow roasted pork with a butter bean and shallot ragu, and sausages with cheddar mash and an onion gravy, however the one thing that stood out to me was the sirloin steak. I opted for mine medium, whilst Dan went for gammon with fried egg, along with a strawberry cider for me, and a local ale for Dan. So local that it was actual brewed in the same building! Both meals came with hand cut chips, a handful of (amazing) beer battered onion rings, mushrooms and a tasty little side salad. I also picked the peppercorn sauce which was delicious and made the perfect dipping sauce for those yummy chips. My steak was cooked to perfection, and for someone who is pretty fussy about how their meat is cooked, this is high praise! I tried a piece of Dan’s gammon too and that was delicious – something I would have myself if we went again. Also, I’m not a fan of fried eggs but his looked pretty good with super runny yolks. I think it’s safe to say we both finished our mains feeling content and full, but of course after seeing the amazing list of puddings we had to have a taste of something! 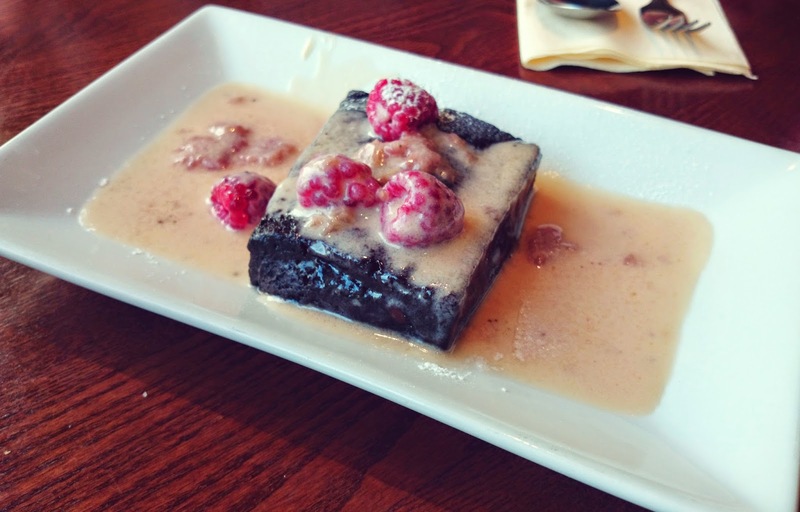 Enter the warm chocolate fudge brownie with white chocolate and raspberry sauce, all home made and a thing of beauty. I promised I was only going to have one or two spoons after stuffing myself silly with the main, but I ended up eating a good half of this – oops! The sauce was amazing, with fresh raspberries crushed in to it. Anything with white chocolate has my vote, but this was something else. Yummy! All in all, a really tasty meal in a lovely setting. It’s situated on a main road, but it is a little off the beaten track and something we would have never found if Dan hadn’t stayed in a hotel down that side of the City. If you’re not familiar with York on the other side of the river, I’d definitely recommend taking a look as there’s lots of little bars and restaurants that are well worth a try, and don’t have the same queues of tourists like the more well known places do. 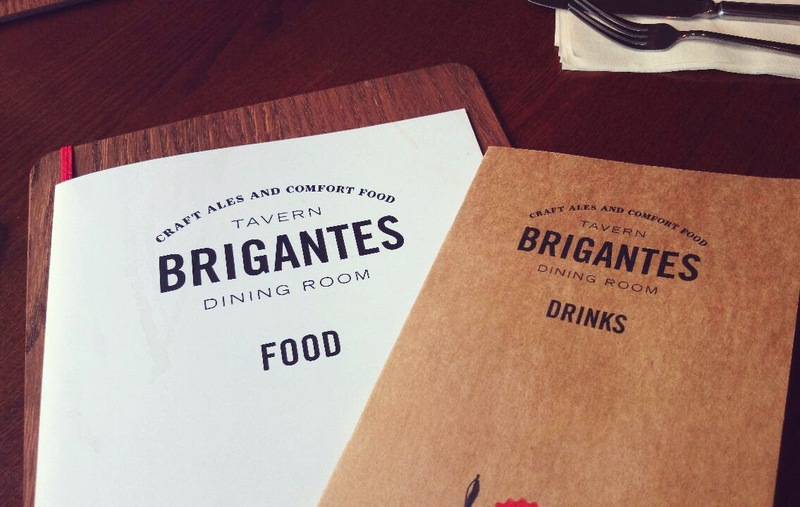 Have you been to Brigantes? 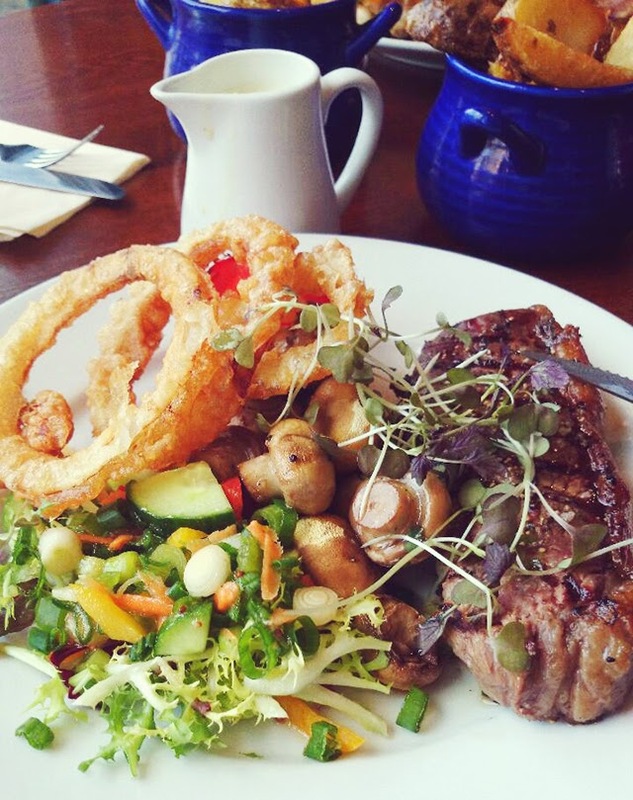 Where do you like to eat out in York? The steak looks incredible! I'm hungry now!